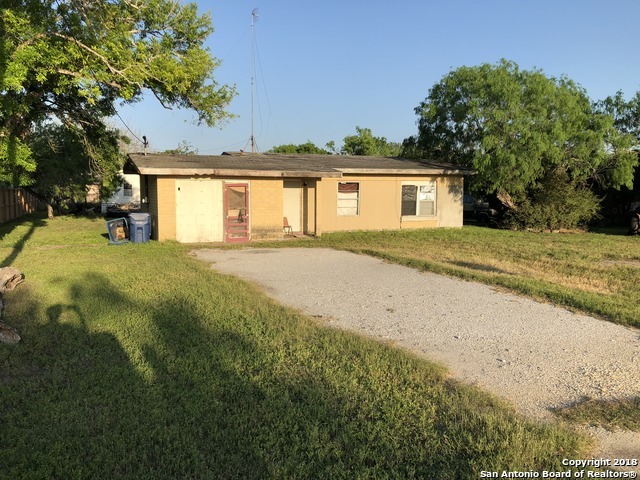 All Sinton homes currently listed for sale in Sinton as of 04/22/2019 are shown below. You can change the search criteria at any time by pressing the 'Change Search' button below. If you have any questions or you would like more information about any Sinton homes for sale or other Sinton real estate, please contact us and one of our knowledgeable Sinton REALTORS® would be pleased to assist you. "The home sits approximately on an acre lot. This charming 3 bedroom 1 bath has a galley kitchen, with oak wood fixtures new. The wash room sits alongside the kitchen area. The dinning room/family room is connected to give an open floor plan feel. There are ceiling fans in all bedrooms to include living and dinning room areas. This charming starter home is perfect and move-in ready. The walls and flooring are in great condition. The home has lots of natural lighting within. This home is a must se"
"Investment opportunity for anyone who wants to be close to Sinton-Rockport area. Located near area restaurants and schools, and in established neighborhood. Will require repairs but Priced accordingly. Property was a tax-lien foreclosure and is being sold as-is, where-is. Buyer will need to sign attached EM addendum."